Yuli Gurriel of the Astros slides home to score in Game 6 of the ALCS against the Yankees on Friday in Houston, Texas. The Astros won 7-1. 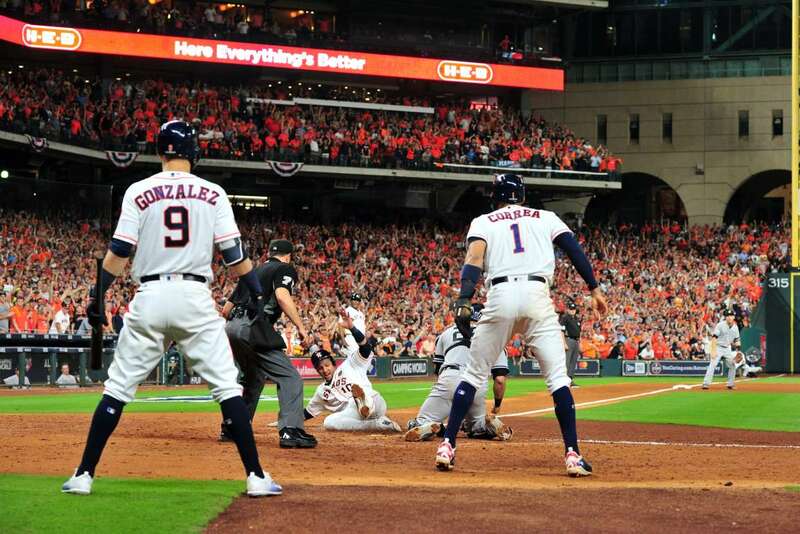 Sliding home Yuli Gurriel of the Astros slides home to score in Game 6 of the ALCS against the Yankees on Friday in Houston, Texas. The Astros won 7-1.